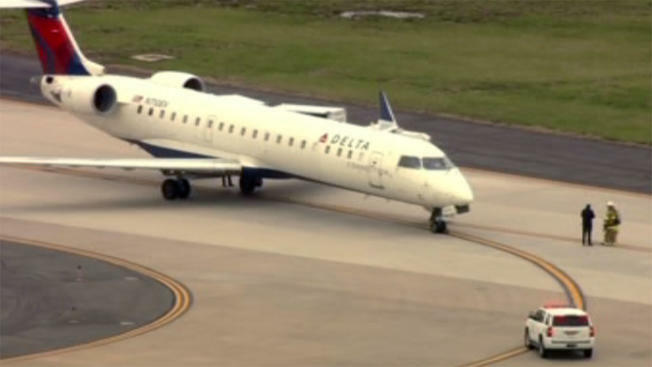 A Delta Connection flight was forced to make an emergency landing at Dulles International Airport on Tuesday, after the pilot reported problems with the plane’s landing gear. Flight 5507, operated by Express Jet, originated at New York’s LaGuardia Airport and was headed for Virginia’s Richmond International Airport. At about 12:12 p.m. the pilot declared an emergency, citing problem’s with the plane’s landing gear and asked to be diverted to Dulles, according to Andrew Trull, an airport spokesman. 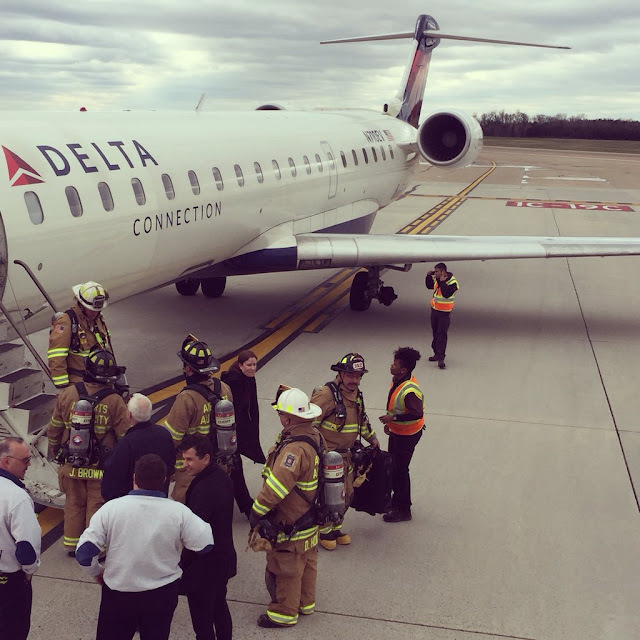 The plane, a Canadair regional jet CRJ-700 with 46 passengers and four crew, was met by fire and rescue personnel from the Metropolitan Washington Airports Authority. Passengers and crew members were taken via mobile lounge to the terminal and were set to be bused to Richmond, Trull said. WASHINGTON — A plane had to make an emergency landing at Dulles International Airport Tuesday afternoon after the pilot reported landing gear problems. A flight headed to Richmond from La Guardia had to make an unexpected stop at Dulles Tuesday around noon. The Delta flight operated by ExpressJet had to land after the crew reported a problem with one of the aircraft’s wheels, said ExpressJet Airlines’ spokesman Jarek Beem. The passengers deplaned through the main cabin door, and the airline transported them to Richmond by charter bus, Beem said. “The safety of our customers and crew is always our top priority and we sincerely apologize for any inconvenience this may have caused for our customers,” Beem said in an email to WTOP.